Techies Sphere: How to block external or internal emails for a specific user in Office365 Server? 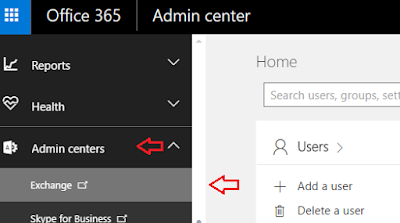 How to block external or internal emails for a specific user in Office365 Server? 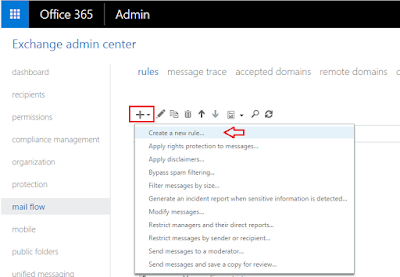 Or, How to create email transport rule in Office365 server? 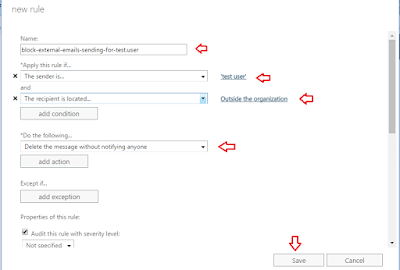 Descriptions: First thing first, there is no option in mailbox properties to restrict a specific user from sending email outside the organization if you are using Office365 online exchange server. This is one of worst limitation of Office365 server and mailboxes along with too many others. Yeah, there is way to achieve this requirement still. 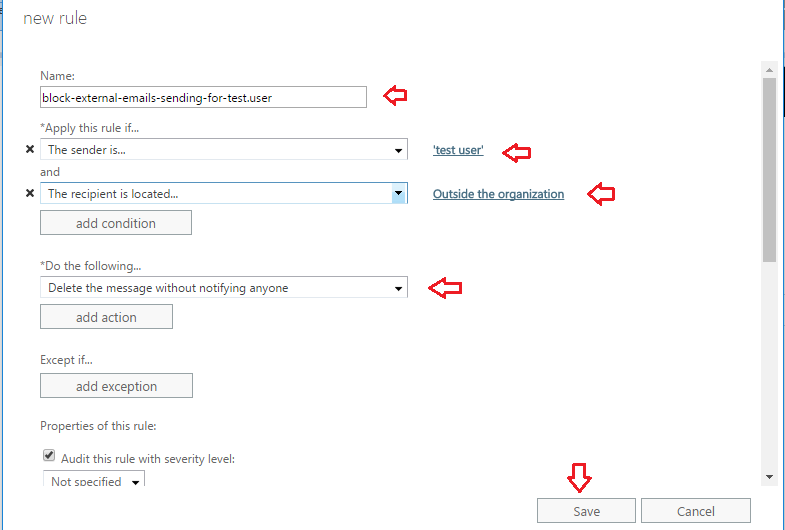 To block the external emails for a specific user, you can create a transport rule. Be extra careful while creating this transport rule as it can impact more than you expect if created wrongly. If you are not much familiar with creating transport rules, my advice is to get in touch with MS Support guys and get it done in their supervision. Under Admin console choose Exchange.